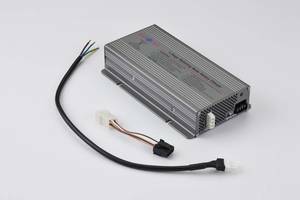 This air cooled unit is idea as a replacement for many makes and models of charger, and is also suitable for new installations. The PX300 comes with a short adaptor cable which matches the 12V connector on many Nordelettronica charger units. This cable can also be used with 6.3mm female spade terminals. A short 230V mains cable is also supplied, for connection to a 5A fused 230V supply.